Think of all the spreadsheets, emails, phone calls, countless applications and paper documents used to record and communicate information across multiple business stakeholders. Stakeholders such as asset managers, plant operations, control room operators and dispatch, portfolio managers, traders and power marketing. The number of manual processes used to keep a company moving along is staggering. Many of them are time consuming, fraught with opportunities for error and many times late or missed altogether. We understand the challenges energy companies and utilities face and that’s why we’ve built a solution specifically designed for the energy and utilities industry to automate and improve your business processes. The whitepaper contains real examples and benefits from our clients on how they improved productivity, maximized revenue opportunities and received an immediate ROI. 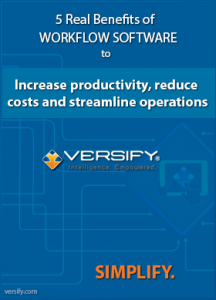 How do you want to apply Workflows to your business?